Besides of automatically migrating all user and group accounts that would be unresolvable at the destination during the file migration or in case of Microsoft FTP server migrations, CopyRight2 allows you to selectively migrate accounts in a separate "User and Group Copy" job giving you more control over the migration taking place. Running an actual migration job of 10.000 users & groups is lightning fast and completes in less than 10 minutes usually, if sufficient bandwidth is available. 1. Add a new "User and Group Copy" job and fill out the name and optionally the description. After the "User and Group Copy" job has been created you can run it either interactively from within the GUI or schedule it for background execution taking place at another time. 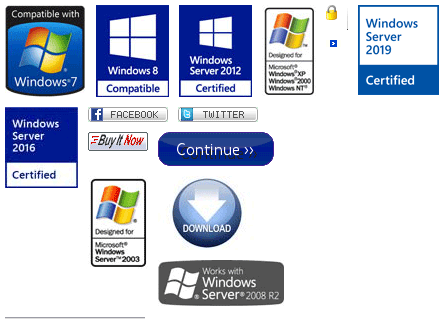 ...of a Windows® 2008 to 2012 member file server in the same domain. Watch it now! ...reporting features of CopyRight2, gathering info about users, groups and permissions of local and Active Directory accounts. ...of a Windows® 2008 to 2012 FTP member server incl. local groups, users and their passwords.